unloads his new 9-track opus, Expensive Taste. The project shows an impressive amount of progress from MistaRogers, proving to consistent listeners and new fans alike that he deserves to be put in the same conversation with his rap peers throughout the industry. 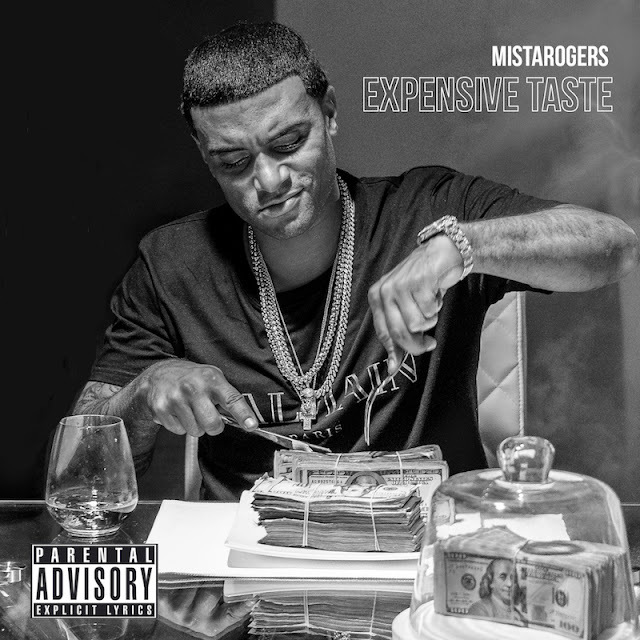 With production completely tailored by Atlanta's TM88 from start to finish, MistaRogers bolsters Expensive Taste by delivering collaborations with TK-N-Cash, Tory Lanez, Ray Jr, his Money Hungry artist Leeb Godchild, as well as the aforementioned Jadakiss. Expensive Taste showcases the irreplaceable, driven mindset that MistaRogers has built, while giving us a first-hand experience of his relatable determination to be great.